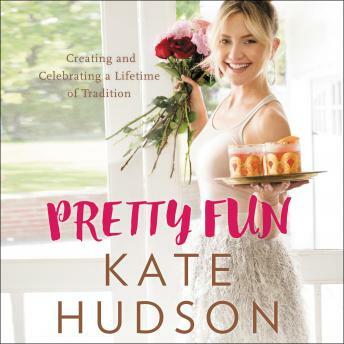 Celebrate all of the special moments in your life, big and small, with this warm and welcoming, lifestyle and entertaining guide, complete with delicious, healthy recipes, from actress, fashion icon, entrepreneur, and New York Times bestselling author of Pretty Happy Kate Hudson. In Pretty Happy Kate Hudson shared her wisdom and advice for living a healthy, strong, and mindful life. In Pretty Fun she shares her philosophy behind gatherings, how to be in the moment, make them uniquely yours, embracing occasions to just be together. A beautiful, fun, and nourishing guide filled with fabulous recipes for healthy and even some more indulgent snacks and beverages, and infused with Kate’s mindful and healthy approach to life, Pretty Fun will help you plan a year of special events, while remembering the healing power of gathering and celebration. Recipes, party checklists, and more are included on a downloadable PDF that accompanies the audiobook.